As the Virginia State Police continues its efforts to close the gap on sworn vacancies within its ranks, a special recruitment campaign kicked off last week in theaters in five states. A new 30-second State Police promotional video will play on movie screens in New York, Ohio, Pennsylvania, Virginia and West Virginia through Aug. 1, 2019. On March 20, 2019, the State Police welcomes its 130th generation of new troopers to its Academy. This is the first class in the Department’s history that has hired applicants to particular vacancies within the field divisions. Traditionally, trooper-trainees would not find out their first patrol assignments until mid-way through their Academy training. The Department welcomed 80 new troopers to its ranks Feb. 15, 2019 upon their graduation from the Academy. The Virginia State Police Academy is preparing for 79 new trainees to arrive Wednesday as part of the 130th Basic Session. The Virginia State Police is actively hiring for the 131st Basic Session, which is scheduled to begin in early 2020. Trainees are paid while attending the State Police Academy and a year after graduation will earn $48,719. Those assigned to Northern Virginia receive additional compensation due to the region’s higher cost of living. 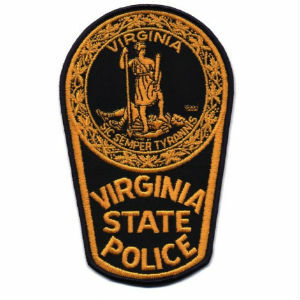 To meet a recruiter and discover what all a career with the Virginia State Police has to offer, please go to www.vatrooper.com.